[May 10, 2017] LINCOLN - Jean A. Curtis, 86, of Lincoln passed away on Tuesday, May 9, 2017 at Memorial Medical Center, Springfield. Service: A private family graveside service will be held at a later date at New Union Cemetery in Lincoln. 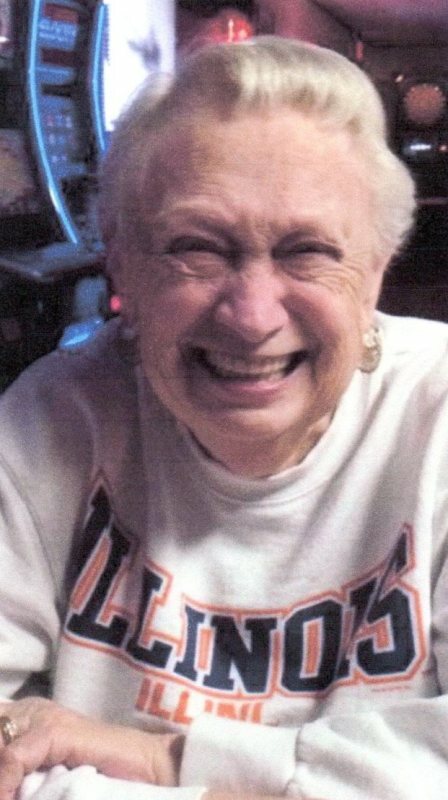 Jean A. Curtis, 86, of Lincoln passed away on Tuesday, May 9, 2017 at Memorial Medical Center, Springfield. Jean was born on January 11, 1931 in Ogelsby, the daughter of Leonard Webb and Mildred Lauretta (Trout) Rose. She married William Wesley Fisher on July 1, 1949, from this union four children were born. She married William A. Bunner on March 2, 1979. She was preceded in death by her parents and former spouses William Fisher and William Bunner. She married John “Jack” Curtis on November 17, 1984. He preceded her in death on November 23, 2003. She is survived by: her four legged companion, Baxter; her children: Sharon (Bill) Clark of Grand Rapids, MI; Kathie (Tom) Vincent of Lincoln, David (Anna) Fisher of Pekin; John (Tim Green) Fisher of Middletown, her grandchildren: Michelle (Keith) Constance of Kenney, Fran Clark of Portage, MI; Sarah (Mike) McCabe of Effingham, Amy Clark of Grand Rapids, MI; Eric (Michaelene) Quinn of Carmel, IN; Leslie Clark of Grand Rapids, MI; Kristina (Matt) George of Oceanside, CA; Thomas (Loretta) Clark of Grand Rapids, MI; Heather Fisher of Lincoln, Allie Fisher of Peoria, Kristopher Fisher of Lincoln, Dani (Kyle ) Fisher of Peoria, and 16 great-grandchildren. She retired from Willamette Industries after 30 years of service. She worked at The Lincoln Elks Club after her retirement. She was a member of The Lincoln Elks Emblem Club. She enjoyed watching golf and Illini basketball. Most of all she loved spending time with her family. 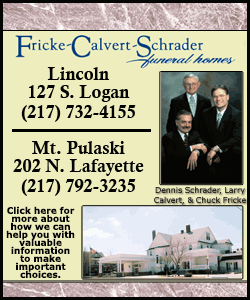 A private family graveside service will be held at a later date at New Union Cemetery in Lincoln. Memorial donations may be made in Jean’s name to The Wounded Warriors Project.